Now that was a twist-filled hour! 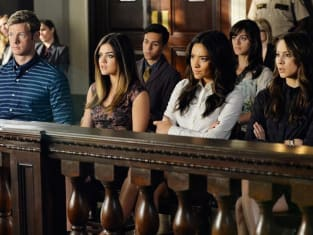 Pretty Little Liars Season 5 Episode 23 signaled the beginning of Alison's court case and it brought with it a whole host of drama. Did anyone really feel sorry for Alison? I'm so over her at this stage and think that regardless if she killed Mona, she should still be rotting away for the things she's done in the past. She's never going to be a nice person and she relishes causing people misery, so it seems like her getting locked up for good would be nothing less than she deserves. It was a shock that Jason took the stand, but he came through in the end. He finally admitted to his sister that he knew she didn't kill anyone. That was such a nice scene between the two of them and for the moment, it rule him out as a suspect for me. Jason practically had all his dirty laundry thrown about the court room. The prosecutor just wanted to make him look stupid to strengthen the case against Alison. Surely, him sleeping with Ashley wasn't relevant to the case itself, but the prosecutor wanted his character tarnished to make him look as if he wasn't a credible witness. Spencer: You and Hanna's mom? Jason: It's none of your business. It's no one's business. Permalink: It's none of your business. It's no one's business. It wasn't nice for Ashley either. She's paid for her sins and it looks like she's paid the ultimate price now, by pushing Tom away. I don't know what it means for their relationship, but at the moment it sure seems rocky. My heart skipped a beat when the prosecutor went to town on Ali about lying about the kidnapping, with the help of a few liars. Could Cyrus really have ratted her out? The search for clues on Varjak led to some crazy revelations. Firstly, it's good to see everyone coming together to try save both Alison and Hanna from a long time behind bars. Aria was freaking annoying when she hesitated answering the phone from one of the Varjak numbers. Do you wanna just give up and go shopping? Permalink: Do you wanna just give up and go shopping? The song that was played to them sure was creepy, but where was it coming from? Mona's room. Yes, the liars decided to check in with Mona's mom to see why she wasn't at court, but when they arrived, they got no answer. Upon getting ready to leave, they heard the song from a window upstairs. After breaking in, they realized that Mona's room looked trashed, but they found a note with several different things written on it. What does it all mean? It looks like I was onto something with my theory about Andrew, considering the look on his face when he saw the girls at Mona's house. When a character pops back up in Pretty Little Liars after a leave of absence, they are almost always certain to be doing something dodgy. Obviously Andrew isn't A, but could he be Varjak? That would make a little sense. He did save the liars from Cyrus, after all. Either way, he is high up on my ever growing list of suspects and I don't see him moving back into the safe zone any time soon. "The Melody Lingers On" was a solid episode that injected some life into the tired storylines. It's set up the final two episodes of Pretty Little Liars Season 5 really well and I can't wait to see what's next and who the big A really is. Did anyone else laugh out loud when Aria asked Emily to give up their search and go shopping? She sure has her priorities in check. Both Hastings parents are very protective of their children and like to dictate every part of their lives. Something isn't right with them and I wouldn't be surprised if they knew something BIG. The scene with Caleb and Spencer was so sad. The two of them having a heart to heart isn't something we see very often, but it sure was nice. Seeing the video in court, it sure doesn't look like Alison in the video. I don't know why anyone would think it was. Perhaps everyone should go get their eyes checked. Remember you can watch watch Pretty Little Liars online, right here on TV Fanatic. 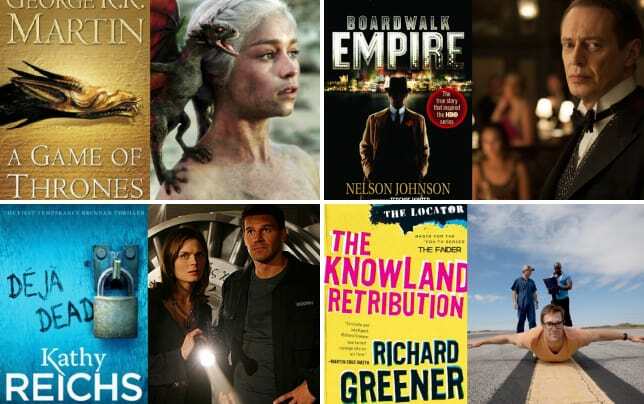 Get caught up on the growing pile of lies now before it's too late. What did you think of the episode? Will Ali be set free? Could Andrew be Varjak? Chat with me in the comments. 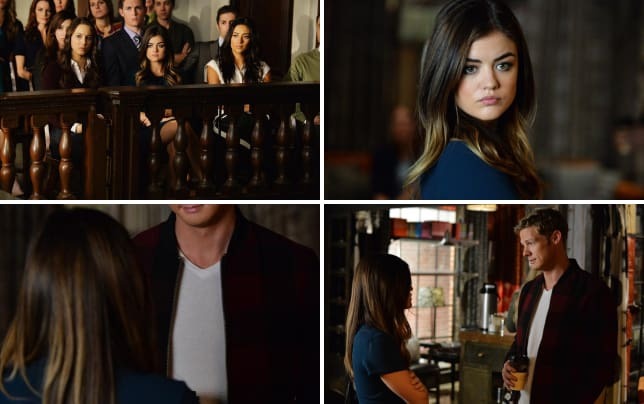 Note: Pretty Little Liars Season 5 Episode 24 airs March 17th at 8/7c on ABC Family.